Text messages and email may be great for quick responses but, a thoughtful handwritten letter will never go out of style. Tell you loved ones what they mean to you on personalized note cards they can keep forever. Taking the time to personally write a thoughtful message shows your loved ones that they are worth your undivided attention and that what you wish to say is important and worth theirs. The more advanced technology becomes, the more meaningful a handwritten letter is to recipients. 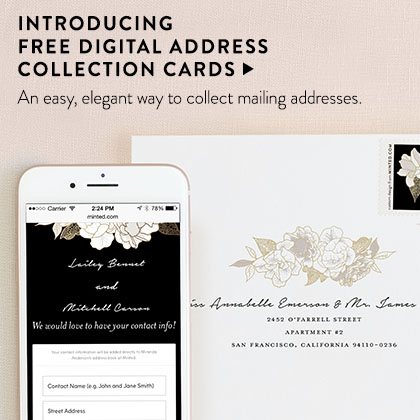 Send beautiful, eye catching correspondence with personalized stationery from Minted. 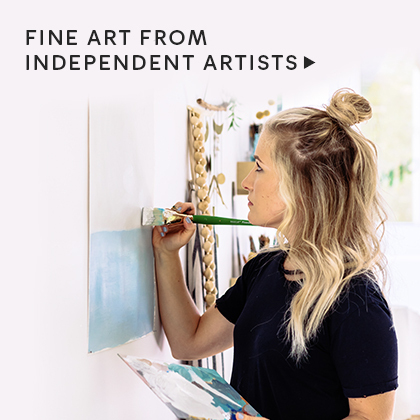 All of Minted’s exclusive personalized stationery is designed by our global community of independent artists, so you won’t be seeing any of these luxe stationery items anywhere else. Express yourself with a chic flat monogrammed design, or opt for a bold illustration on a folded card. 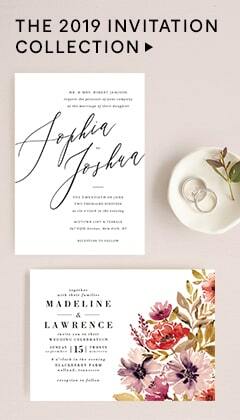 Whether you use your personal stationery for thank you notes, wedding thank you cards, or every day note cards, you can be sure to reflect your style with our unique personalized stationery designs. Make every detail your own with our array of color, shape, and paper options. Our Signature Paper is a thick and luxurious stock in an off white hue and complimented by a creamy cotton texture. Or, be eco-conscious with our Recycled Paper, a thick paper with a smooth matte finish. This stock is made from 100% post-consumer waste, and is manufactured with wind power, by family owned Mohawk Fine Papers. Lastly, enjoy our new TripleThick Paper option. This is out thickest paper available with a quality and weight that is unmatched and a rich creamy cotton texture creates luxury you can feel. This paper is so delightfully thick, it is unbendable. Looking to add a little extra flair? 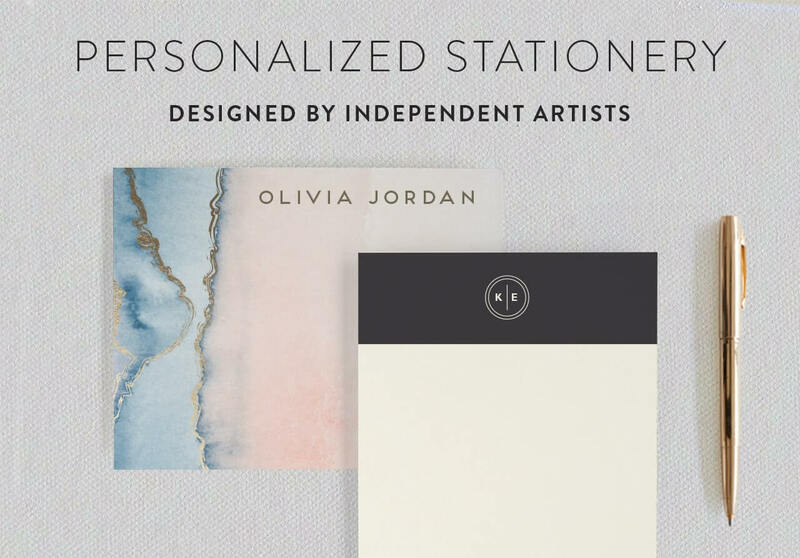 Try one of our Foil-Pressed Personalized Stationery options and watch your correspondence shine. 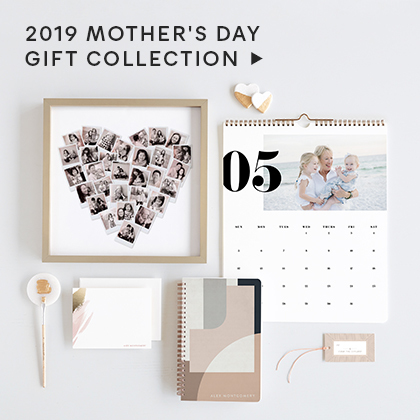 And, on select styles, include a photo to make your stationery paper that much more you. Don’t forget to complete the look with our custom backer options and our Skinny-Wrap Address Labels!